“The D.C. Department of Funk unveiled details of this year’s Funk Parade, including the poster art, theme, and for the first time, major art activations. Funk Parade — DC’s one-of-a-kind day fair, parade and music festival — takes place on Saturday, May 7. 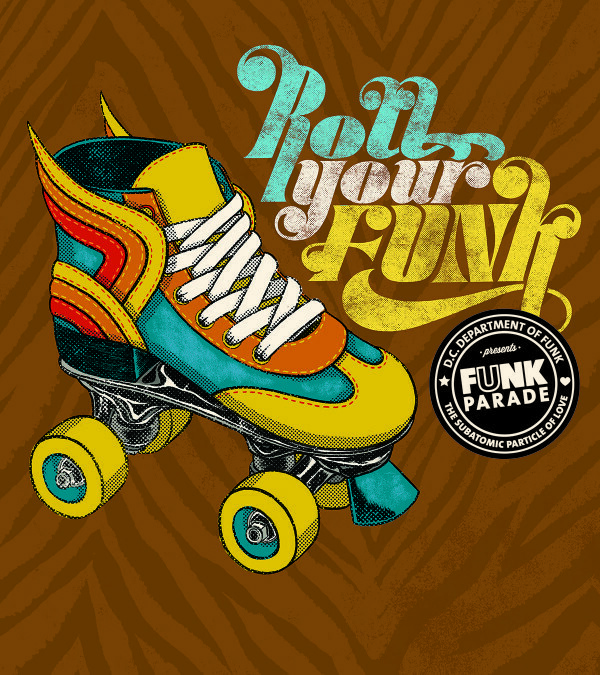 This year’s theme is “ROLL YOUR FUNK,” highlighting the city’s roller-skating heyday, its current cycling culture, skateboarding and more. “Engaging attendees in the day’s experiences has always been central to the event,” said Justin Rood, Funk Parade co-founder. “This isn’t a spectacle to watch, it’s a celebration to join.” But as Funk Parade’s popularity has grown — doubling from 25,000 attendees in 2014 to 50,000 last year — the need to invite participation from attendees became even more important. “Bring your spirit, bring your funk. Join the parade!” Said Chris Naoum, event co-founder. Glover Park Ace Hardware (re)Opens Too!